Like the two photos above show — Mike can be easy going  relaxed or wildly intense! Very few artists have the ability to play so many styles and yet really excel at them! As a player, hes really like a top notch Studio player  In fact; famed Guitar Studio Legend Tommy Tedesco once stated: In my opinion, he is one of the finest guitarists in the country. Mike not only admired Tommy but was very grateful for his words of encouragement! Mike also credits his collaboration with the great Chas Eller, (of Kilimanjaro fame), for his success in the studio. Chas is one of the best Keyboard players, Recording engineers, and Mastering engineers in the Music Business! When we work together  its like having a Spock mind meld  because of his vast musical background - most of the time he knows exactly what I want. Its an honor to work with Chas Eller!" People often ask the question: Why Smear Records ? What does it really mean? Surprise! Smear Records is actually a tribute and dedication of all of Mike's music: past, present, and future  to his father - the late, great Mitchell P. Smiarowski; known as Mr. Smear  he was a two-time All-American Football/ Middle linebacker/ Center/ and Place kicker at St. Bonaventure University. He was known to SMEAR opposing offensive backfields. "Mr. Smear" played usually 50 minutes a game! He was considered one of the best players in the country  during a time when men played - not just for the money - but for Pride and Honor! Seems kind of forgotten nowadays! So goes the same for Mike! Practice/study  achieve great accomplishments against all odds - proving to real people that old time traditions/hard work are still alive!! Mike credits his mother  Helen  for her constant love of life, her own tremendous creativity, and teaching him to see the beauty of life and nature  so that he is able to reflect that love and beauty in his music! Who exactly is Mike Smiarowski? 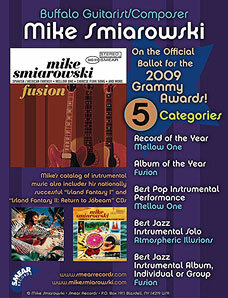 Mike Smiarowski is a remarkable Guitarist/Composer from Buffalo, NY (USA). He has been on the National Radio Charts with the biggest names in the Instrumental field of music along with such artists as: Kenny G, George Benson, Earl Klugh, Pat Metheny, Herb Alpert, Lee Ritenour, Peter White, Kevin Eubanks, Spyro Gyra, Quincy Jones, etc. Mike has been granted the great honor of being on the Official Grammy Awards Ballot for the years: 2007, 2008, 2009, 2013, 2014, 2015, 2016, 2017 and 2018 in a total of 27 categories. Mike is truly honored to be mentioned alongside the best in the business! Mike's music was featured on Air Force One, the Presidential jet. Passengers were treated to a one-hour loop of selections from: ISLAND FANTASY, ISLAND FANTASY – Part ll, and FUSION. 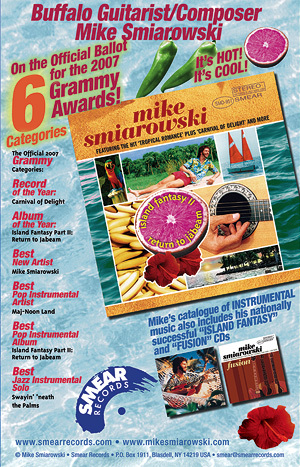 An example of Mike’s reaching out to the mainstream audience is his appearance on the Home Shopping Network performing “Tropical Romance” and “Lullabye”. 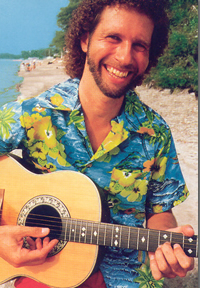 These songs feature his romantic side from the “Island Fantasy-Part-ll” and “Island Fantasy” CDs. Please view these and his other video performances on his video page and/or YouTube channel. Mike also headlined “In Flight“ magazine, where ~ 4 million people heard Mike aboard United Airlines in his continuous 2-hour music loop. You’ve probably, no doubt, without knowing it, heard Mike’s music in department stores, supermarket chains, elevators, airports, and other public places across the United States. Mike is also very proud of this accomplishment! “It shows the diversity of my music; you can appreciate it as an art form (foreground) or have it as background music to accommodate whatever mood you want to capture! In other words – my music can reach many diverse audiences!" The even more amazing part of this story is that hes achieved all this on his own small independent record label called : SMEAR RECORDS. Getting back to the two pictures presented at the beginning of this page... 'Exactly who is Mike Smiarowski?' can be answered by yet another question: Who do you want him (his music) to be? Mike (known as the 'Fantasy Man'); has a Fantasy Guitar catalog that runs the gamut of stylings for any guitar fanatic or just anyone who loves great Instrumental music which combines great technique, catchy melodies, and soulful emotions. His compositions speak of life, of romance, of faraway lands, all telling a story; all without any musical barriers. 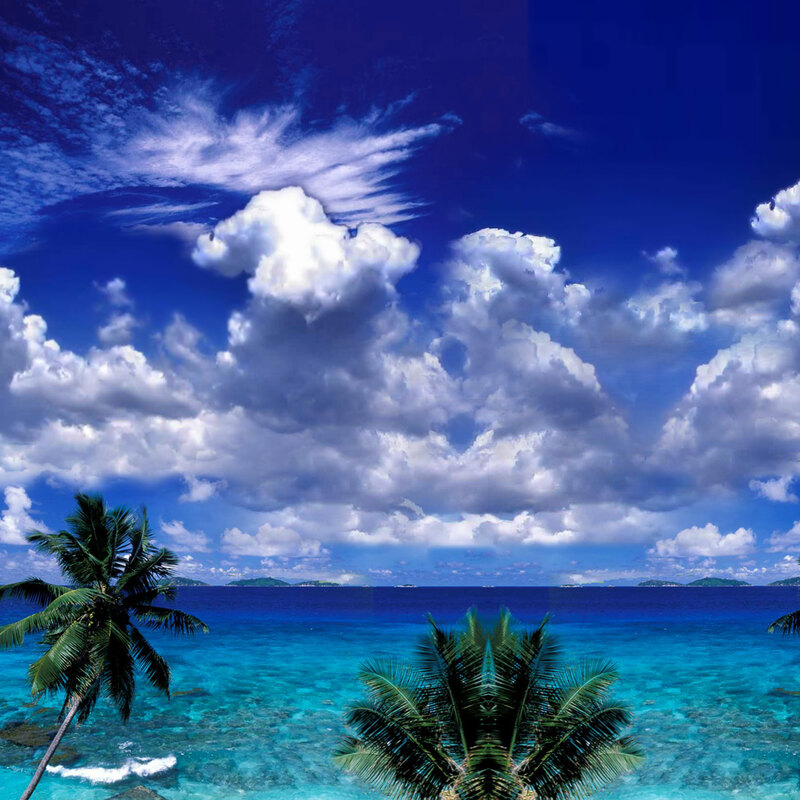  ISLAND FANTASY  and "Island Fantasy ll" are Tropical, Romantic getaways to the magical "Isle of Jabeam" ; where one finds oneself  Swayin neath the Palms or are in a quest for a Hope For Love on a Beach Serenade ; or enjoying a Jamaican Shuffle while partying in the  Festive Streets during the Carnival of Delight ; while trying to keep up with the Cookin Coconuts , while awaiting a Lullabye  to be played at Night  to partake in a Tropical Romance  only to awaken to a Heavenly Dawn  which leads you to your Memories of Jabeam, as you head back to reality! Speaking of another journey : The FUSION album sends you into another fantasy; this time to different lands across the globe: Spain, Mexico, China, another visit to the Caribbean islands, and also a detour to another dimension  The Twilight Zone  Mikes tribute to Rod Serling and basically the story of Mikes life  is this reality or the Twilight Zone? 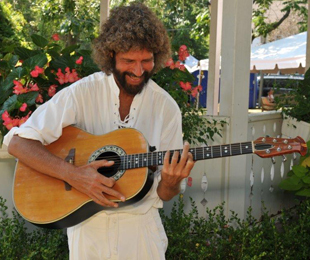 Mike's latest release, "Live: Latin Moods," was recorded live, displaying his tremendous improvising skills. Every song and every solo was created on the spot. Western movies, whether American-made or a Spaghetti Western were the inspiration for these Acoustic, Spanish and Mexican-themed Flamenco Jazz songs. For anyone who loves great music  with no labels attached  and still believes in the underdog, a Rocky Balboa story, then Mike Smiarowski might be the musician/man you want to give a listen to! Truly great music knows no barriers. You try to pick the best from all forms and try to create  gathering from past greats  music that's new, creative and timeless. 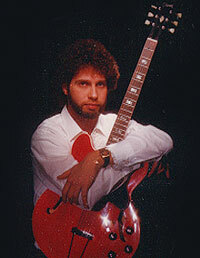 Mikes music has been called  Timeless  by many people. Thats the true test of great art. Can it stand the test of time? You can decide for yourself whether his music meets those standards!